Shamanic Journeying and Power Animals – New date coming soon. These courses can be taken separately; see Advanced Training, above. Each of my experiential workshops is designed to educate and open you to positive growth. I bring more than 40 years of spiritual practice and 20 years as a shamanic practitioner. 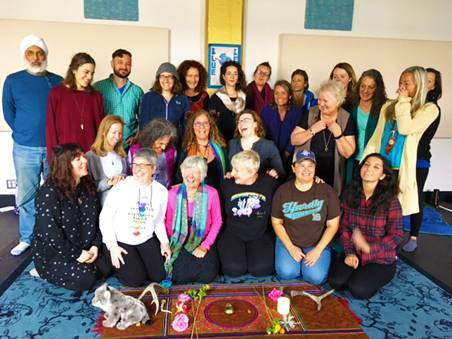 As a graduate of world-renown shaman, teacher, and author Sandra Ingerman’s extensive, two-year shamanic teacher training, I’m qualified to teach on topics such as Shamanic Journeying, Extraction, Soul Retrieval, Healing with Light, and Death and Dying. I invite you to attend one of my regular workshops in shamanic journeying and advanced healing techniques. If you want to move forward in realizing their gifts, talents, and abilities, I offer a mentoring program for individuals. Workshops are held throughout the San Francisco Bay Area. Individual mentorship programs and instruction also available in my Northern California studio or via the internet.